It’s that time of year – shedding season! 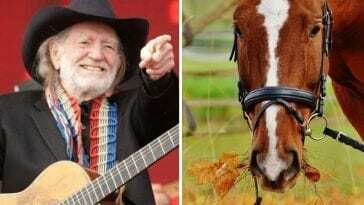 It’s always fun to see a horse’s coat go from wooly to smooth and sleek. And, in my case, I finally get to see my silver dapple with her summer coat – a first since I just got her in September! It’s so fun to see a coat change colors! But, there is a down side. 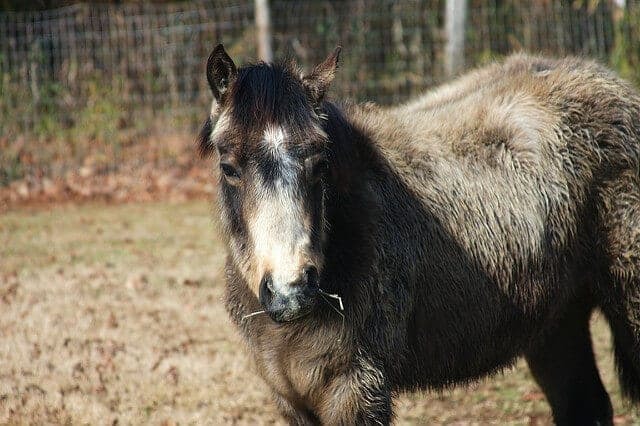 All that fur coming off is itchy and your horse may be rubbing on everything, to the point they are rubbing off manes and tails – not good! 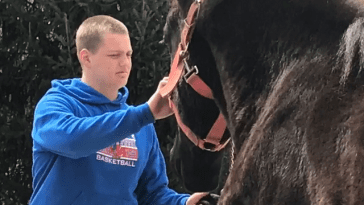 We’ve rounded up some helpful tips to ensure your horse is as comfortable as possible during shedding season so they can welcome summer with a shiny, healthy coat. The first tips come from Dr. Rachel Barrack of Animal Acupuncture. 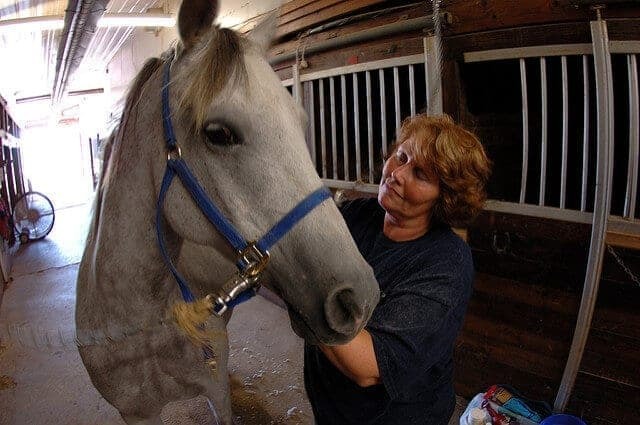 She has tips for those that may need to “speed-up” the shedding process to get ready for show season and what to watch for if your aging horse doesn’t seem to be losing this winter hair. 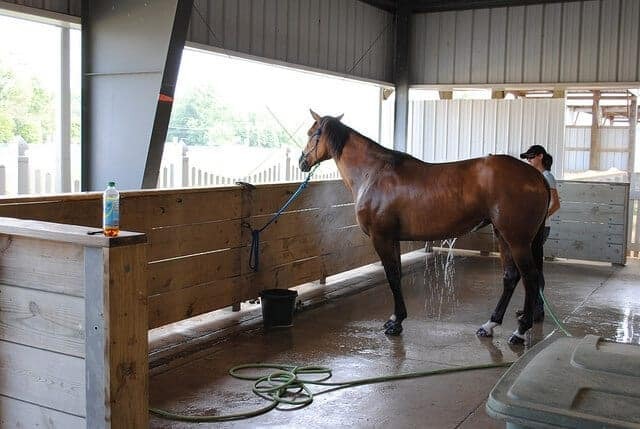 Horses start to shed when the day length increases, so to encourage them to do so earlier in the season, artificial lighting can be used in stall to mimic natural spring day length. Additionally, a late season full body clip will make hair shedding less obvious and can also remove some dead hair follicles. 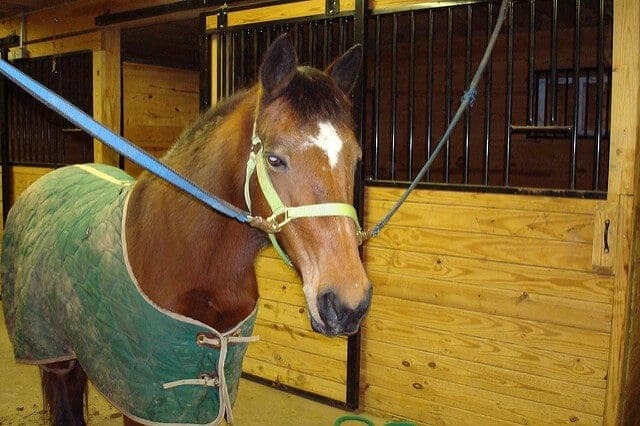 But, if it’s still cold out remember to blanket your horse as you’re getting rid of their warm winter coat. To encourage shedding, a baby oil soak overnight can loosen dead hair follicles followed by a shampoo bath. 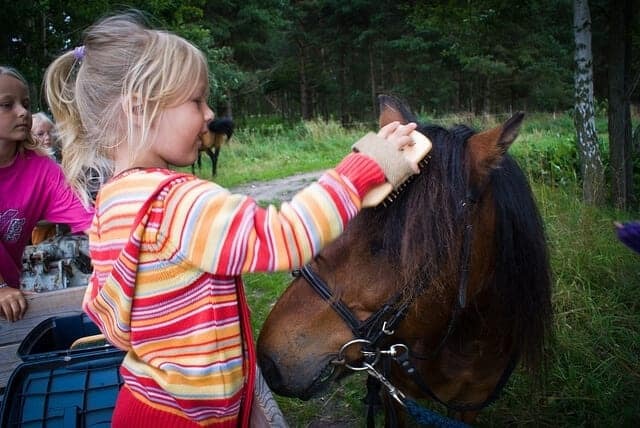 Bathing can help remove dead hairs and encourage shedding- but be careful not to over-bathe your horse. 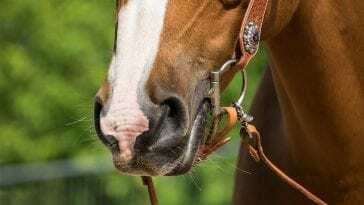 This can decrease natural oils and result in a dull coat or make your horse more prone to dermatitis. Some advocate the use of metal shedding blades, but these should never be used on bony protrusions such as the spine or along the legs. When used improperly, shedding blades can also cut the underlying skin, creating painful areas that are predisposed to infection. For this reason I’d advocate sticking with a rubber curry comb, hard and soft brushes, and a soft cloth for the face. Hypertrichosis, or failure to shed their winter coat, may be a sign of pituitary pars intermedia malfunction, better known as Cushing’s disease. 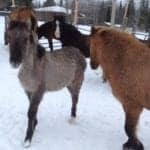 This is common in older horses but does warrant further treatment. 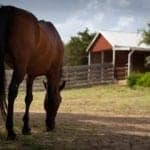 Should your horse be having difficulty shedding or show other coat abnormalities, consult your veterinarian regarding medications, supplements, and/or dietary changes that may be warranted. 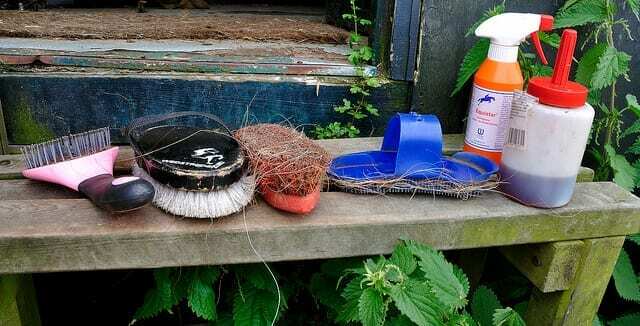 The shed out hair can be great nest material for all sorts of wild life. I see all sorts of birds collecting hair after a horse has been groomed and have found many old bird nests made almost entirely out of horse hair. So perhaps leaving it available for other animals is a good thing! 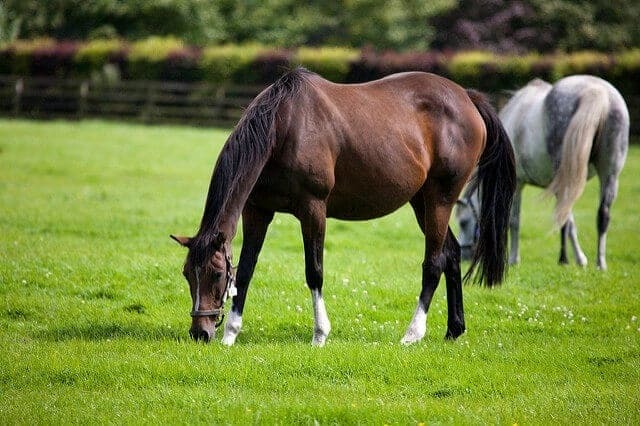 As for skin and coat health, I won’t endorse a particular product, but making sure that your horses has a well-balanced diet with an appropriate mineral and trace mineral supplementation is important for overall health including skin and coat.